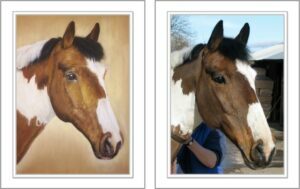 Susan has created two beautiful separate portraits of my two horses and captured them perfectly. I have no idea how she does it but when I look at her paintings and their eyes in each their character just comes shining through. You can even see each hair on the portrait of Blue. They are breath-taking and I really couldn’t recommend Susan highly enough to anyone looking to have their pet or horse captured in portrait. 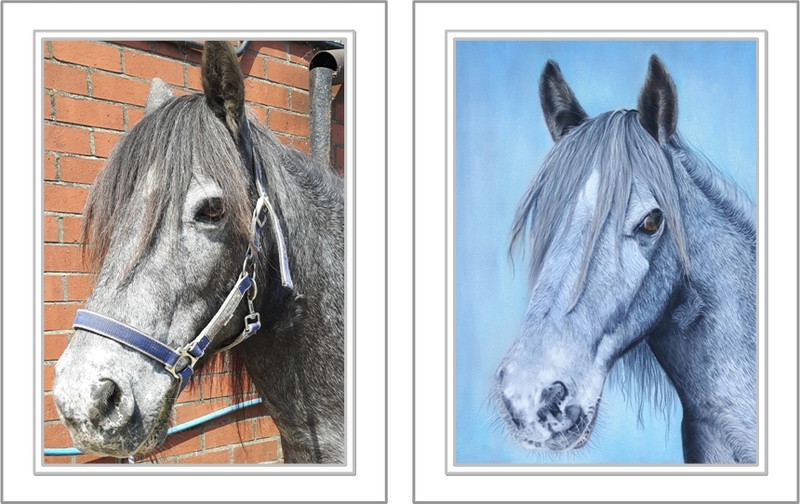 Susan took so much time to make sure she had the right colour background for each, the right pose for the two portraits to hang together and even the right colour in the blue horse’s coat (not an easy task). 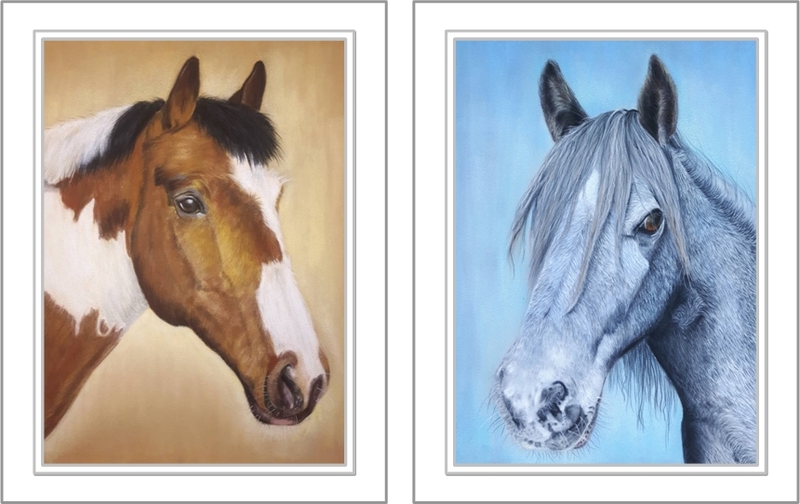 They are portraits to treasure for years to come. Thank you.